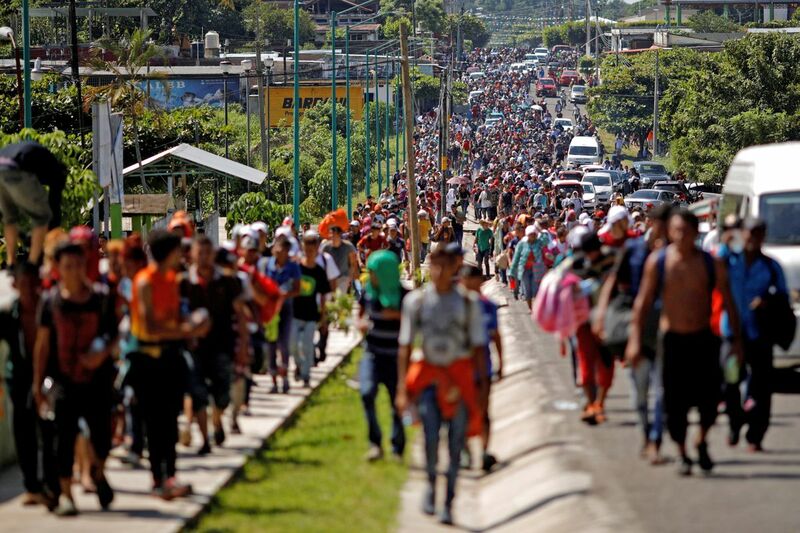 While the media turns a blind eye, the illegal migrant caravan is making their final push. They are on the border and ready to pour into America. And they just did something so crazy that the border had to be shut down. The caravan is officially on the border town of Tijuana. Thousands of Mexicans are marching against the caravan. They are chanting “Mexico First,” agreeing with Trump’s assertion that they are an invasion. Signs saying things like “No Illegals” are commonplace. The mayor of Tijuana was even seen sporting a red “Make Tijuana Great Again” hat. Demonstrators sounded a lot like President Trump in their opposition to the caravan. “Tijuana is a place that welcomes anyone, but you must have papers, you must identify yourself,” said one demonstrator. “We work hard here. We don’t get handouts. The government shouldn’t be giving things to migrants when plenty of Mexicans are in a difficult position,” he continued. Those in the caravan now realize that they need to push forward as soon as possible. In response, the Department of Homeland Security is shutting down a portion of the border. More barriers have to be put in place to block the caravan’s attempts to cross over. This development proves what President Trump has been saying for months. The caravan is full of criminals and gang members. They are willing to do anything to get into the U.S., including breaking the law. But the military is ready to stop them. Barbed wire has been placed along the border and U.S. troops are standing guard. And although they are doing a good job, they are not as equipped as they should be. The border is not near secure enough. For years, Democrats and Republicans have refused to take any meaningful action. President Trump has been trying to secure the borders. The one thing that could stop the caravan is a wall along the border of Mexico. This would provide a solid, well-built barrier. But there has been little progress on a border wall, despite it being Trump’s top campaign promise. Every time he tries to receive funding for the wall, he’s faced opposition from both Democrats and weak-kneed Republicans. So if the caravan is able to enter the U.S., the blame is solely on them. Do you support building a wall?